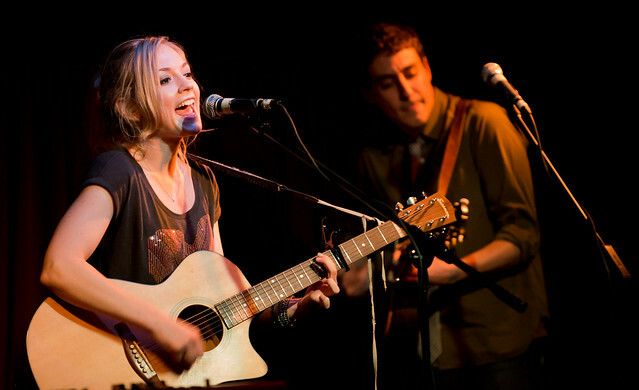 Emily Kinney performs at The Hotel Cafe last February. One listen to Emily Kinney's voice pulls you in like a secret love potion that draws you into her magical world of whimsical melodies, quircky lyrics but above all, truthful and vulnerable songs that make you feel like she wrote these songs especially for you. On her second EP Expired Love, released in October, Kinney established her musical identity, firmly planting herself as a talented indie-pop singer/songwriter. Kinney starts off the new year, with what's sure to be an intimate performance, at The Hotel Cafe on January 15th. Get your tickets right HERE. "Expired Lover" by Emily Kinney off her new EP of the same name.